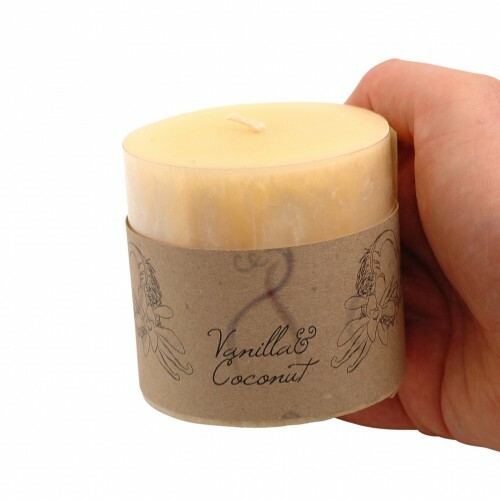 Size: Candle is about 7.5 cms (3 inches) across and the height approximately 7.5 cm (3 inches). Burns for: Approximately 50 hours. 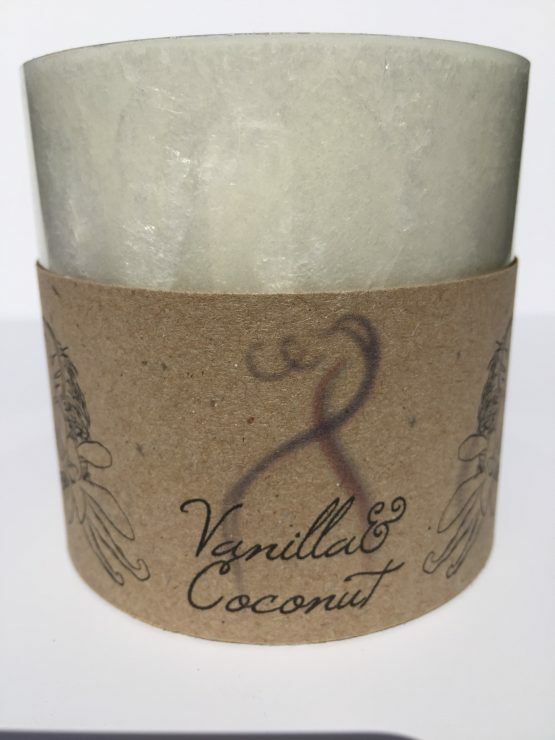 A vanilla and coconut scented candle. It has a sweet and exotic fragrance, a perfect ‘all rounder’. The plant wax contains no petroleum, paraffin or animal products.